Today I have a fun post lined up for you! It’s pretty rare that I get to share full home ours of other bloggers or designers, but today I’m excited to share the home of my friend Sarah from Room For Tuesday. We’re doing a home tour swap, where I’ll be sharing more about her and her incredible style on my blog, and she’ll be doing the same about me on hers! I met Sarah last fall in California at a designer retreat I attended and we immediately decided we needed to be friends. She’s basically like the younger, cooler, hipper version of me 😉 Not only that, she has a killer eye for design and she and her husband are master renovators. The best part? She recently just moved about ten minutes from where I grew up (and my parents still live)! So basically, I’ll be demanding an in-person tour next time I’m in town. Sarah and her husband sold their last home home shortly after she and I met, and moved into a 90’s builder grade home that they’ve just started to renovate. I’m so excited to follow along with their renovation because I know Sarah’s taking it a different direction than she has other homes in the past. I love when designers are directed in part by the bones of the home rather than forcing a style where it may not fit! Since their current home is a work in progress, I thought I’d share more of Sarah’s last home. You’re not going to believe the professional level DIYs they did to the home. 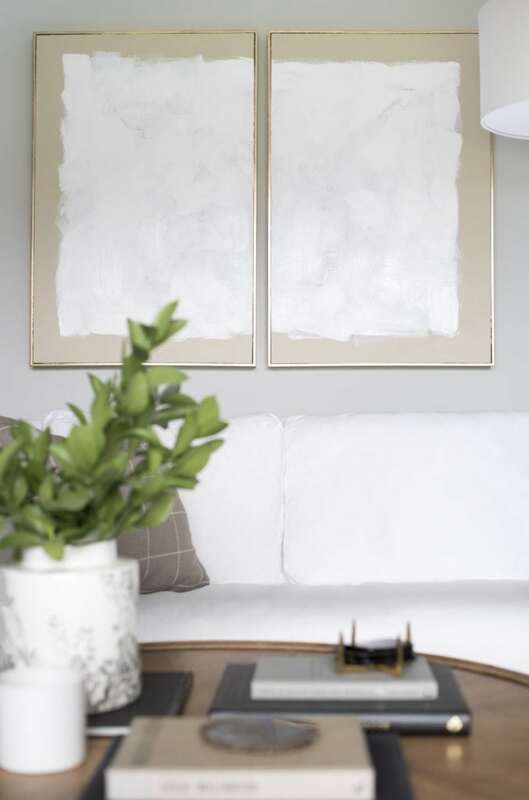 One of my all-time favorite projects of hers is this DIY abstract art that she created to mimic a piece at Williams-Sonoma. Isn’t it so good? I’ve shown similar techniques in the past and it’s proof if you have art you don’t love that is a cheap reproduction, you may as well make it what you want! Here color-block hallway is one of the most creative (and amazing) projects I’ve seen in a long time! 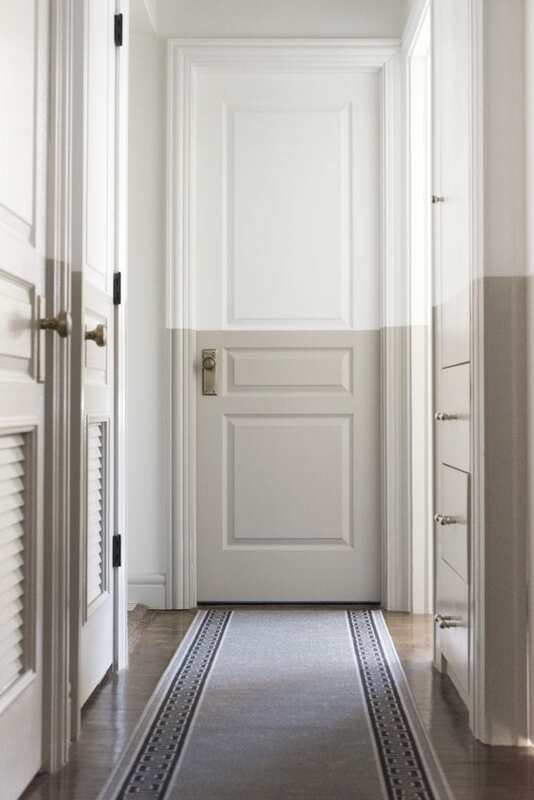 I absolutely love how she freshened up a boring hallway with just paint! Sarah renovated her kitchen around the same time I did and I love the mix of grays and warm wood tones! 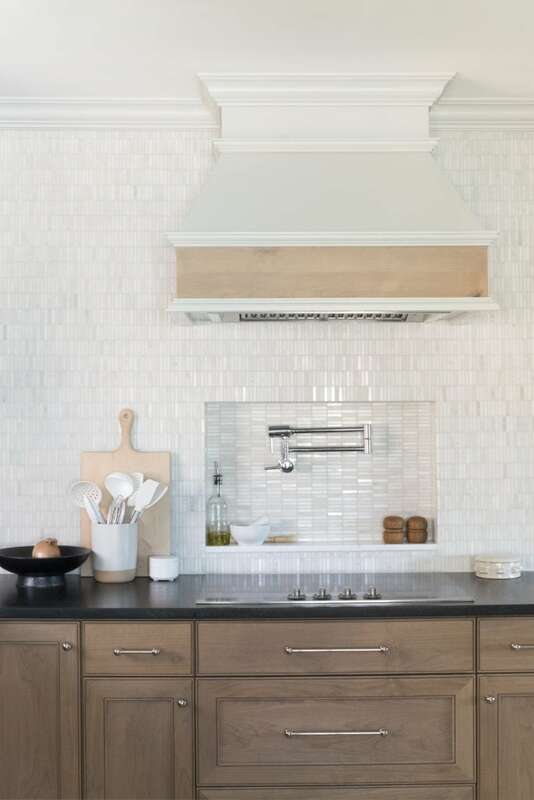 Isn’t that tile paired with the range hood beautiful? 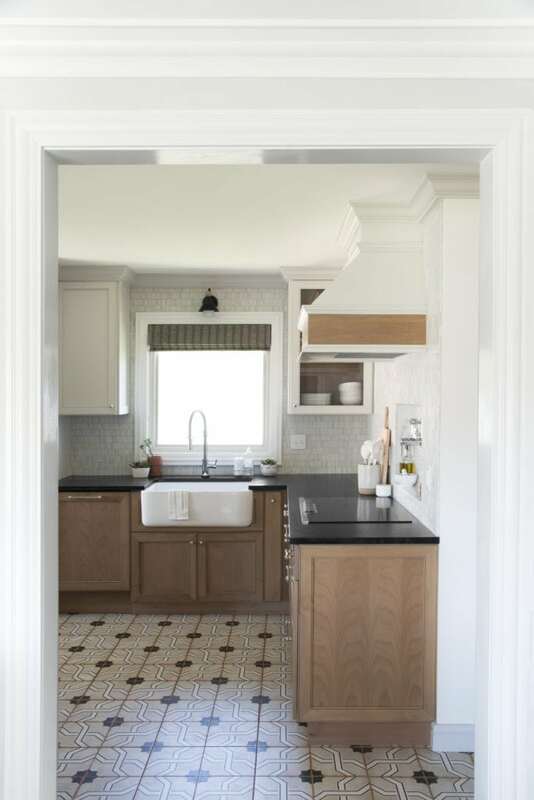 The combination of the wood and white cabinetry brings so much warmth to their kitchen! 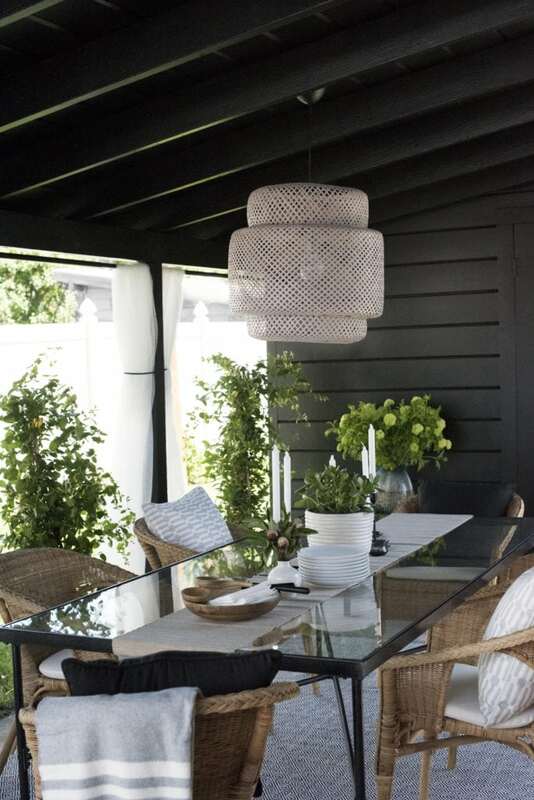 I love the built-in dining nook they created, and you know I can’t get enough of those black windows! 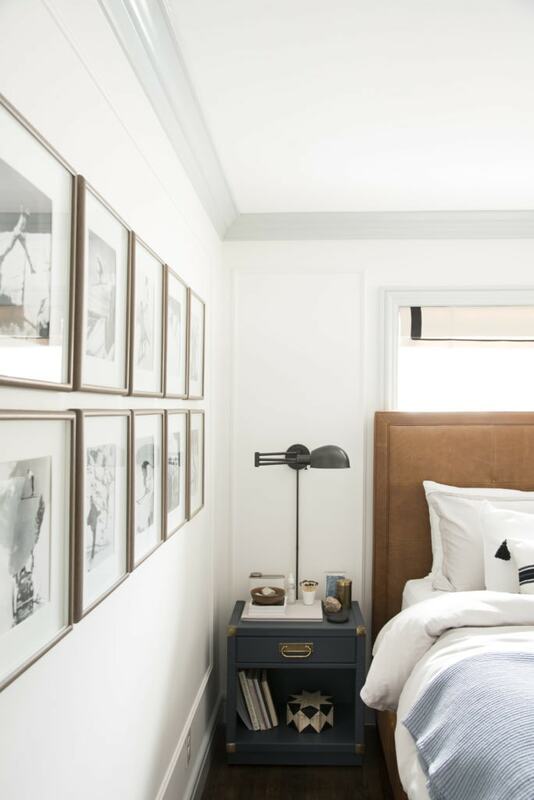 They had two gorgeous bedrooms in the home (you can see them all in the full home tour) but I absolutely love the look of their master. The rug, the leather bed, the painted trim, the wall moulding. It’s all so good! 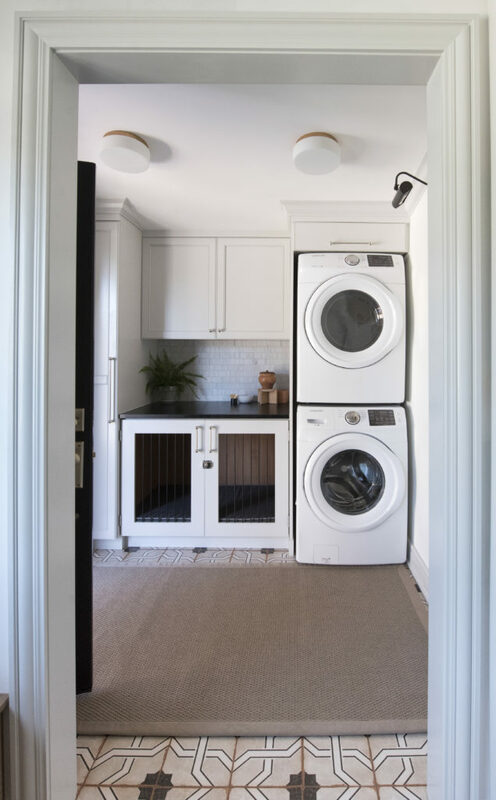 Their laundry room renovation was also pretty epic and resulted in one of my favorite spaces in their home! 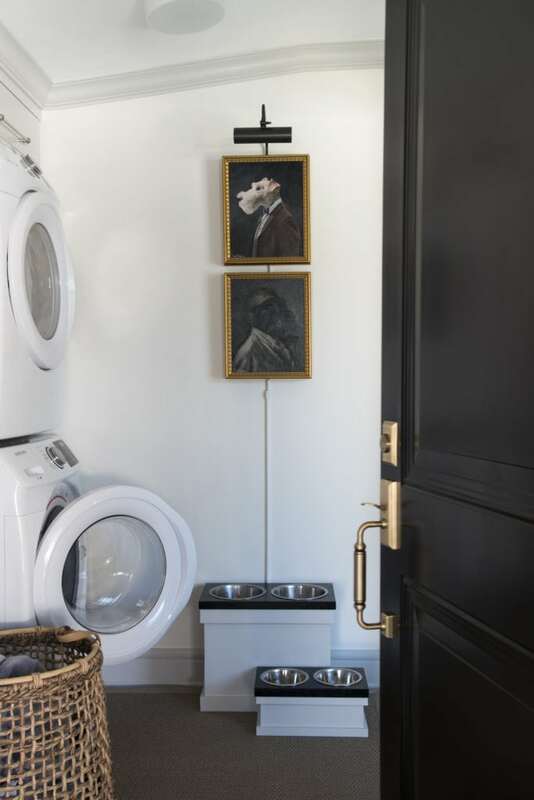 Check out that built-in dog crate and the gorgeous tile! Sarah is also a talented artist and paints these portraits of her pups! So great, right?! Stepping outside, they had two dreamy outdoor spaces. Would you believe this dining space used to be a carport?! I was blown away when I saw it! 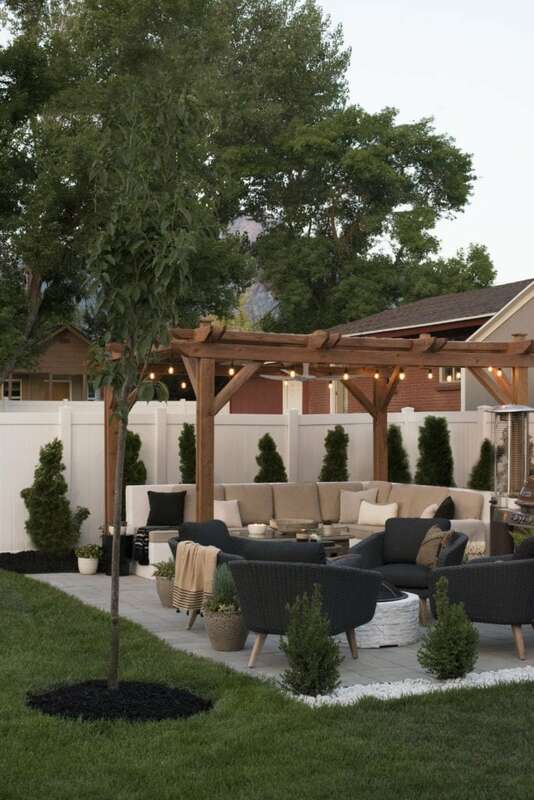 And this outdoor living area is perfect for nights with the canyon breezes in Utah! I don’t want to give away here entire home (because I could go on all day! ), so be sure to check out here full home tour of her last home. You’ll love their bathroom and office makeovers as well! Then be sure to stop in to check progress on their latest home projects (including the bathroom remodel they’re working on right now)! I’m pretty sure we’re all going to be blown away with what they have up their sleeves for their new home! I hope you enjoyed this home tour and introduction to Sarah! I know I’m personally so glad I got to meet her in real life to and found her to be just as inspiring and sweet in person as she is online!